Podgorica, (MINA-BUSINESS) – It was concluded at a conference in Podgorica that the region of East and South East Europe (ESEE) was important because of its huge raw material resources, which could spur and strengthen its economic growth. It was concluded at the ESEE Dialogue Conference, organized by the EIT RawMaterials network, the EIT RawMaterials Regional Centre Leoben, and the EIT RawMaterials Hub Regional Centre Adria, that it was necessary to define the framework for a successful development of the raw materials sector. “This includes an adaptation of the framework policy to ensure legal certainty and transparent issuing of licenses and permits, as well as transparent decision making for the investors,” says a press release issued by the organizers. The purpose of the conference was to establish connections between EIT Raw Materials network and the ESSEE region, in order to identify joint paths towards implementation of the projects focusing on raw materials. “Raw materials are the basis of the contemporary society, and they are important for the whole world and for future development. However, in order to be strong, the Europe’s economy will need a secure supply of mineral raw materials” the press release says. 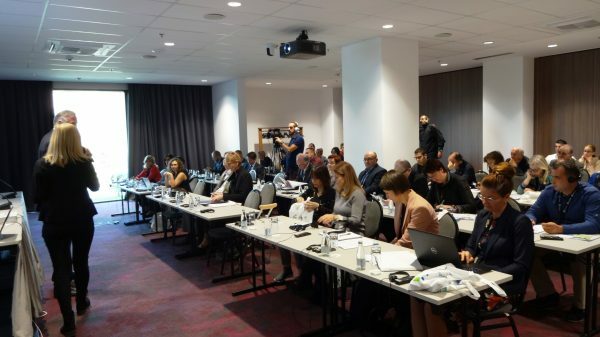 The event gathered together around 50 participants involved in science and research, education and industry to discuss the mineral raw materials sector in Europe and Montenegro and related topics.